"I think the next century will be the century of complexity"
Alexander Bogdanov, a Russian scientist, physician, economist, philosopher, science fiction writer and revolutionary (all-around interesting figure) published his treatise “Tektology: Universal Organization Science” in 1922. Tektology unified all social, biological and physical sciences, by considering them as systems of relationships. This marked the beginning of post-reductionist thinking. Miracles in the western science and technology were based on the discontinuous series of numbers and quantities -- by dissecting the complexities into their components/ingredients, down to the atoms. In the 20th century, a new requirement: understand - and predict - the developing characteristics, functions, when 'components' assembled into higher level complexity-units. Tectology never made it into the West, rather Ludwig van Bertalanffy set off a similar notion with General Systems Theory. Van Bertalanffy, a biologist, emphasised that traditional closed systems could not adequately model the types of systems observable in the world. General Systems theory emphasises holism over reductionisms and organism over mechanism. GST provided a framework for science to consider whole systems and was particularly useful in anthropology, economics, political science and psychology. Today, our language reflects his influence. The family 'system' or health care 'system', information 'systems', banking systems, and so on are changes to everyday language based on GST. The term was introduced in science in 1947 by W. Ross Ashby, an English psychiatrist and student of GST. Specifically, 'self-organization' refers to systems in which the internal dynamics tend to increase inherent order. 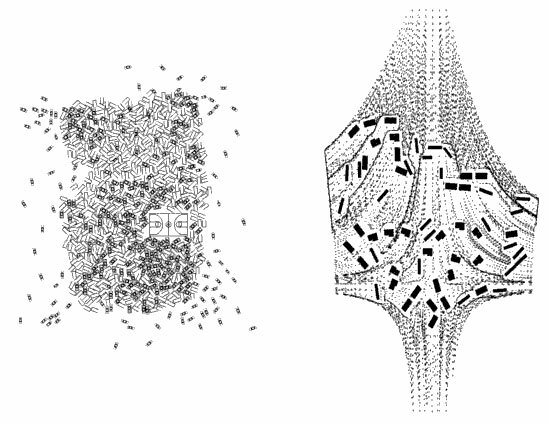 Self organizing phenomena define those remarkable moments in which structure appears without design. For example, at certain wavelengths, bouncing light forms into the structured form of a laser. Or how ferromagnetic material can become spontaneously magnetic below certain temperatures. Cyber-punk fiction and the widespread use of the prefix 'cyber' to refer to anything computer based has obliterated the real meaning behind this word. Cybernetics is generally understood as a general shorthand for the remarkable qualities of computers and lifestyles impacted by computation, but its true meaning is actually much more specific. Coined by Norbert Wiener, an MIT mathematics professor, in 1948 as a title of a book, Cybernetics described the science of control mechanisms for complex systems. The term cybernetics stems from the Greek kybernetes -- steersman, governor, pilot, or rudder and has the same root as government. Prof Wiener worked during WWII on a project for the automatic aiming and firing of anti-aircraft guns. The problem of communication as a control mechanism, feedback and how complex systems react to control is at the heart of cybernetics. Another way to say it is that cybernetics is the study of how to steer complex systems toward a goal. In 1956, Louis Couffignal suggested the definition of cybernetics as "the art of ensuring the efficacy of action." Chaos theory does not refer to systems wildly out of control, but rather systems that are highly sensitive to initial conditions or disruptions. (aka the Butterfly Effect) In chaotic systems it's very difficult to predict the outcome of a chaotic system, but the behavior of a chaotic system is derived from the way the internal structure of the system amplifies an initial condition. Most dynamical systems are good examples of chaos in action. The initial placement of the attractors significantly impacts the order of the outcome of the system. 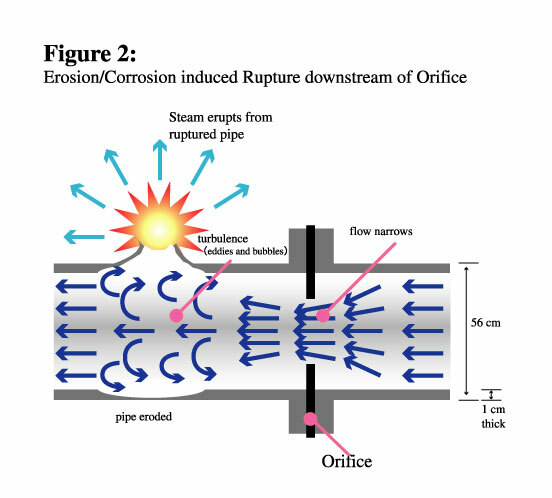 Another example might be pipe erosion caused by bad welds. The turbulence introduced into the system is amplified by the movement of the water. Complexity Theory is not a great phrase because it means very different things to people in different fields. In computer science, complexity theory classifies how difficult a problem is based on the number of steps needed to solve the problem. Because of the rise of institutions such as the Santa Fe institute in the 1980s to study complex systems, phrase refers to the whole set of complex, chaotic, emmergent systems and how they're approached by interdisciplinary researchers. Emmergence and self-organization are similar concepts and often get conflated. Emmergence, though, refers to the way patterns arise out of many relatively simple interactions at the small scale. The manner in which simple behaviors compound to give the overall system order is key. The complexity of an ant hill, for example, derives from a small set of rules that individual ants carry out when interacting with their environment or each other. As the number of these small interactions increase, the community takes on sophistication and apparent order well beyond the complexity of the simple rules. "StarLogo is new modeling environment based on the paradigm of massive parallelism . StarLogo is designed to help nonexpert users (such as precollege students) model the workings of decentralized systems, such as ant colonies and market economies. Users can write simple rules for thousands of objects, then observe the patterns that arise from the interactions. In doing so, users develop new ways of thinking about decentralized systems. For many years, scientists believed that the aggregation process was coordinated by specialized slime-mold cells, known as "pacemaker" cells. But that is not the case. In fact, each slime-mold cell follows the same simple rules. In the StarLogo model, each "turtle" emits a chemical pheromone, while also following the gradient of the pheromone. The patches cause the pheromone to diffuse and evaporate. With this simple decentralized strategy, the creatures aggregate into clusters after several dozen time steps." Yellow Slime Mold Timelapse from i ball on Vimeo. Japanes scientists discover that slime mold can solve mazes. 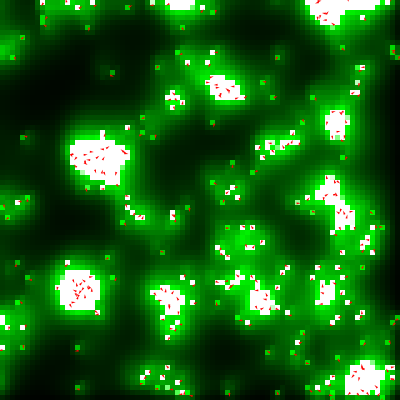 A version of slime mold implemented in processing. 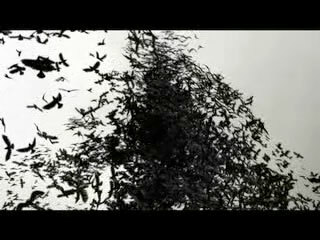 Flock of birds from flight404 on Vimeo. Ink Trails from flight404 on Vimeo.